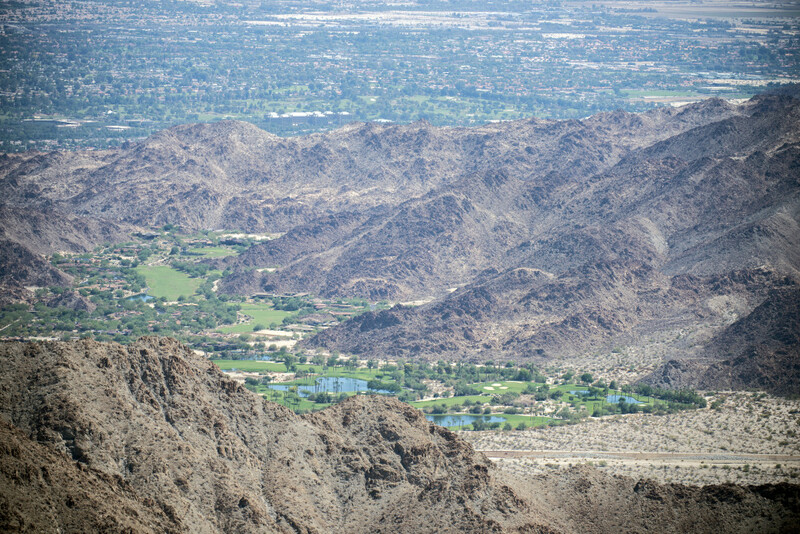 Irrigated golf courses in Palm Desert and the Coachella Valley stand in stark contrast to the natural landscape. During California’s current drought, a utility usage data law has been used to shield the water bills of big users like golf courses from public scrutiny. In the midst of a historic drought, Californians have no way of knowing who’s guzzling the most water. That’s not an accident. It’s by design, thanks to an obscure 1997 measure that weakened one of the state’s chief open government laws, the California Public Records Act. For the source of this legislation, look no further than Silicon Valley, where the city of Palo Alto decided it needed to do more to protect the privacy of the tech elite. In the name of privacy and security, the city of Palo Alto backed legislation sponsored by Byron Sher, the local state senator. It allowed utilities to keep secret their customers’ “utility usage data” – that is, how much water and power they were using. Other supporters included the California Municipal Utilities Association and the League of California Cities. At the time, the Public Records Act required agencies that operated utilities to make customers’ bills public upon request. During a 1991 drought, the press exposed California water wasters by relying on data from water utilities. The Los Angeles Times found that the top 100 water users in San Diego gulped down 3,000 gallons or more a day, while the average household used 349 gallons. Atop the list of the biggest users: The San Diego Union­-Tribune’s publisher, Helen Copley, who pumped an average of 10,203 gallons a day on her 9.5-acre La Jolla estate, which was tended by 10 full-time gardeners. Dozens of those top water users complained that publicizing their water use would expose them to security concerns or ridicule, the L.A. Times reported. In lobbying to change the law, proponents of the Sher measure noted that utility bills include ratepayers’ home addresses. They argued that it was dangerous to make that information public, citing the 1989 shooting of actress Rebecca Schaeffer, who was killed by a stalker who got her address from Department of Motor Vehicles records. The Legislature restricted access after that. State agencies routinely redact personal information in releasing public records to address security concerns. But proponents of the measure also argued that because private utilities like PG&E did not have to release utility usage data, public ones shouldn’t have to either. Once it was introduced, there was no stopping the measure, recalled Tom Newton, executive director of the California Newspaper Publishers Association. The publishers and other open­ records advocates “made a political assessment that we couldn’t kill it,” said Newton, who was the organization’s general counsel at the time. Instead, he said, they worked to amend the measure to maintain open access to the bills of public officials who set utility rates. “We did our best” to temper the law’s effects, he said. A spokeswoman for the League of California Cities says it has no position on the law today. During California’s current drought, the law has been used to shield the water bills of big users like golf courses from public scrutiny. 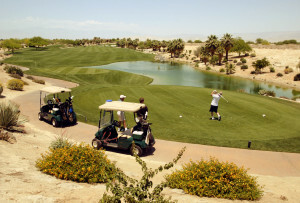 Last year, the nonprofit First Amendment Coalition sued to get water usage data for major business customers of the Coachella Valley Water District in the Palm Springs area, where golf courses are prodigious water users. Peter Scheer, the coalition’s executive director, argued that the 1997 law was intended to protect the privacy only of people, not corporations. Earlier this month, a judge ruled that corporate water bills also should remain secret, saying that while businesses don’t have the same privacy rights as people, the law nevertheless applies to all customers. Under present law, there are a few exceptions that allow for some limited public scrutiny of water bills. Last year, The Center for Investigative Reporting used the public-official exemption to reveal the water use of officials who weren’t living up to their own calls for conservation. Many water agencies redacted the home addresses of the officials but provided copies of their bills. The law also allows the agencies to disclose customers’ water use if they have violated “utility usage policies.” As water agencies restrict use in response to Gov. Jerry Brown’s recently announced mandatory water cuts, scofflaws could find themselves in the public eye. But only if the agencies feel like sharing that information. This story was edited by Andrew Donohue and copy edited by Nikki Frick. Katharine Mieszkowski can be reached at kmieszkowski@revealnews.org, and Lance Williams can be reached at lwilliams@revealnews.org. Follow them on Twitter: @kmieszkowski and @LanceWCIR.